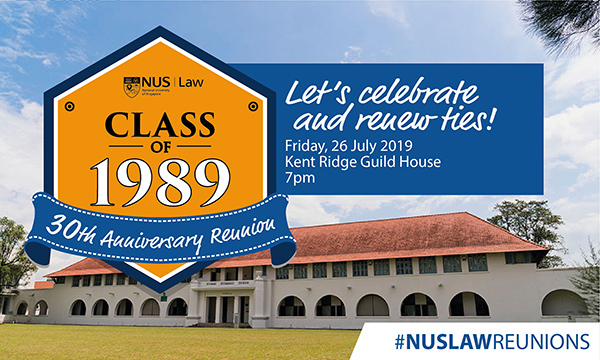 It’s been 20 years since our graduation in 1999 and some of us are organising a reunion, with the help of NUS Law. Please join us for good food and great company! Also, do feel free to forward this email to other classmates that we may have inadvertently missed out. Please click here in order to register and make payment. 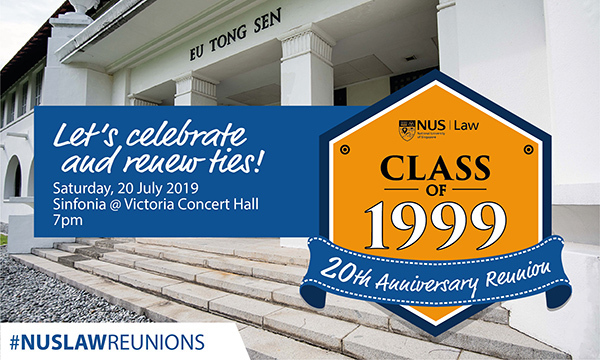 For enquiries on the event, or if you have special dietary preferences, please email lawlink@nus.edu.sg or call 6516 3616 (ask for Shi Ning). We would love to catch up with as many of you as possible so please sign up and spread the word to those we may have omitted (particularly those who are overseas). We look forward to catching up with you soon!